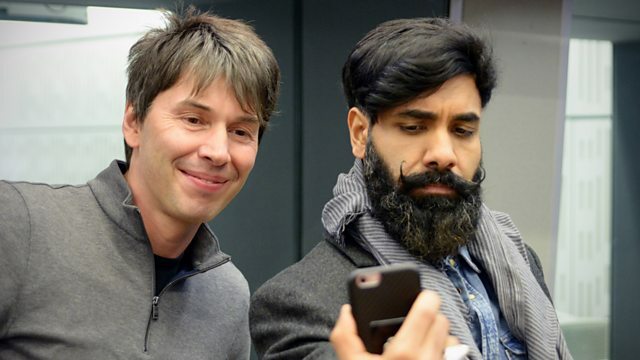 Clive Anderson and Emma Freud are joined by Professor Brian Cox, Barbara Taylor Bradford and Paul Chowdhry for an eclectic mix of conversation, music and comedy. With music from Dan Gillespie Sells and Lail Arad & JF Robitaille. 'Secrets of Cavendon' is published by Harper Collins and is available now. 'How to Build a Universe' is published by William Collins and available now. 'Live Innit' is touring until 15th June 2018. Check Paul's website for dates. 'Everybody's Talking About Jamie' is at London's Apollo Theatre until Saturday 21st April. 'We Got It Coming' is available digitally on Sparks Music / Universal Canada. Lail Arad and JF Robitaille are playing at ORT, Birmingham on Saturday 2nd, Surf Café, Newcastle on Sunday 3rd and The Tea House, Middlesbrough on Monday 4th December. Check their social media for further dates.